If you’re anything like me, somehow along the way you’ve grown tired of the same old dishes every year duplicated on Thanksgiving and Christmas. When I was younger and we didn’t have any family nearby and went out to eat, we would eat go out to eat and while it would be similar dishes it wouldn’t be quite the same. Then my grandparents moved in with us when I was 12 and with my grandma at the helm, we had the dishes my grandparents wanted to eat during the holidays. Which meant many of the same foods for each holiday. Like turkey, boxed stuffing, mashed potatoes and gravy, canned cranberries, bulk rolls, and boxes pies. It wasn’t until I got married that I actually started enjoying holiday food when I realized I could either cook foods better homemade than I was accustomed to eating or that I could buy that were better alternatives to what I was used to. I can tolerate the occasional turkey sandwiches but two months back to back full of oversized turkeys with tons of leftovers does not make me want to embrace this bird anymore. In fact, I can only do turkey for Thanksgiving day, maybe the day after tops. Then I’m on to meals of sides only. Which is completely fine by me because I’ve grown accustomed to eating sides only holiday leftover meals for years. But then we moved to Texas. And all of a sudden without any family nearby, it was ok to come up with our family’s own traditions. And traditions that embraced the local culture. We passed right over ham (although, I’m a big advocate for pushing ham as an alternative to turkey on Thanksgiving…and Easter) and landed on a Texas favorite…BBQ. While Texas is notorious for brisket, sometimes you just have to smoke or BBQ whatever’s available. Over the six years since we’ve been here we’ve enjoyed brisket and pulled pork as our main dish. But one thing remains the same, I’ve ensured our sides are only the best, cohesive as an overall meal, and something that actually tastes good. 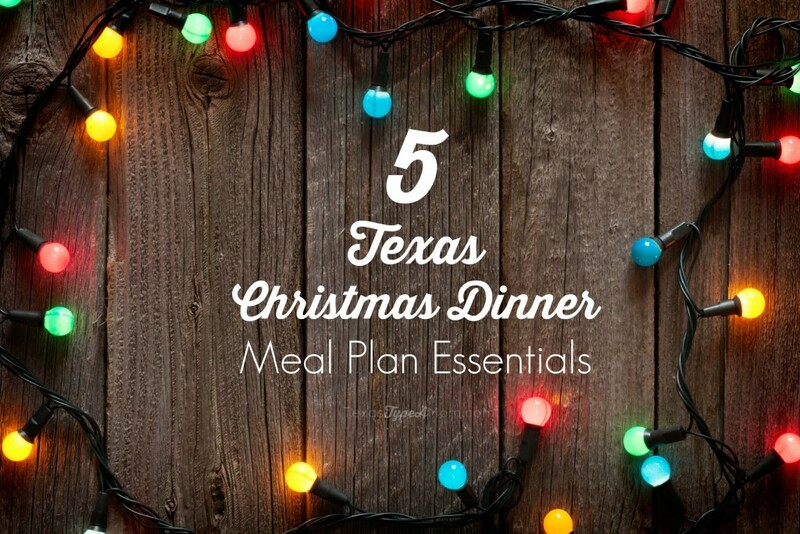 If you’re ready to create a delicious and cohesive meal plan with dishes you actually want to eat (on the day of and leftovers), check out this Texas Christmas Dinner Meal Plan! Beef brisket is the obvious choice here, but if you’re on a budget or haven’t perfected the art of creating a juicy sliced brisket (I’m a fan of the lean stuff so even more props to those like my husband that can nail this art) then try something that can be as easily completed on a smoker or in the slow cooker like pulled pork. Kids love it and while I was impartial before I got married and started making my own. Now that I’ve moved beyond the boxed varieties, I’ve never been quite in love with mac and cheese as I am now. Seriously, this is one of those dishes that I can insist for Thanksgiving and Easter too because it’s just that amazing. And there are so many different ways to enjoy it. Like mac and cheese stuffed biscuits, Hatch chile macaroni and cheese, or Buffalo chicken mac and cheese casserole! I’ve tried going the traditional route and making it from scratch and somehow always go back to the recipe of my childhood. There’s something so delicious and filling about this recipe that hits on all cylinders. Even if you don’t enjoy bread on a regular basis, the holidays are an excuse to break loose. 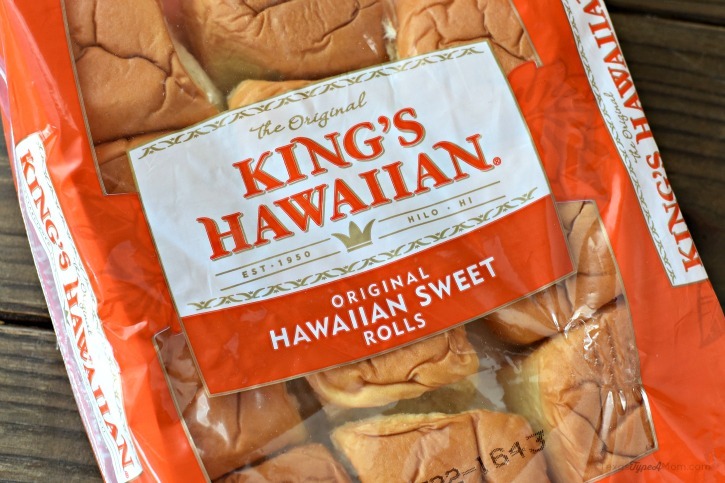 Kings Hawaiian Rolls are moist and flavorful with just the right amount of sweetness that makes it an essential part of our Christmas dinner whether we’re eating it with our BBQ or if our BBQ dinner is piled high on top of it with pickles and onions as a slider! I love how easy it is to pick up everything I need for the holidays like decorations, gift wrap, and even King’s Hawaiian Rolls all in one stop at Walmart. And if you’re just looking for your Christmas dinner ingredients, make sure to check out Walmart Online Grocery Pickup to save time! Walmart makes it so easy to find King’s Hawaiian too since their bread section and bakery are right next to each other. This is such a change from other retailers in our area where the bread and the bakery are on separate ends of the store. This logical positioning makes it easy to find everything you need where you expect to find it! I’m much more forgiving with this category. While some, like my grandparents, continue to stress the importance of pumpkin pie for another holiday, by Christmas I’m pretty much over it. And if I’m going to do a pumpkin dessert. It won’t be a pie. I’d much rather this easy pumpkin dump cake. One dessert I insist on having for both holidays is deep dish apple crumb pie. It’s perfectly balanced with sweetness, tart flavors, and a crunchy but flavorful crust that it’s one of those desserts you crave year round! We know, we have a unique understanding and perspective on Christmas dinner. Did I miss anything? Friends, what are your must have Texas Christmas dinner plan meal essentials? Ready to see how King’s Hawaiian can help elevate your Christmas dinner? Make sure to try my Pulled Pork Sliders recipe!